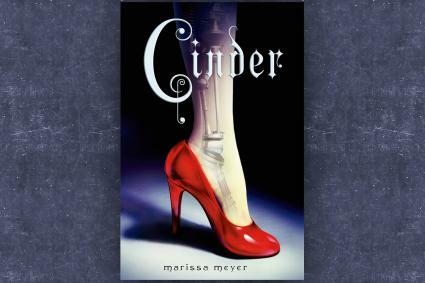 Cinder, the first book in Merissa Meyer's The Lunar Chronicles, was published in 2012 by Feiwal and Friends. The series is a modern twist to classic fairy tales and can be described as futuristic, science-fiction or fantasy. It also contains political intrigue and romance, adding layers of depth to the action. Named after their protagonists, Cinder, Scarlet, Cress and Winter, the books form a story you should read in the correct order. Settings vary from China, France, Northern Africa, space and another world called Luna where readers are pulled into an exciting, and sometimes terrifying, alternative universe. Although the Lunar Chronicles ends with Winter, two other books are essential reading for fans. The basic premise of The Lunar Chronicles is that of the fight for good against evil, no matter what the personal cost. It has a wealth of themes which are clearly defined and easy for the reader to pick up. The Lunar Chronicles is appropriate for kids from 12 to 18 years. Although there are many love interests between the couples in the books, the relationships are uplifting and nothing graphic or shocking occurs. If you are undecided about whether your kids should read the series it may interest you to know that it has received acclaim and awards for each of its books. Cinder: Among the many awards for Cinder was the New York Charlotte Award Master List. This is significant because it is a balloted award; New York students read the nominated books on the list and vote for the book they prefer. Scarlet: Scarlet was chosen to be on the Tri-State Reviews Committee Books of Note - Master List, which is a compilation of books chosen by schools and libraries in the Tri-State area of Pennsylvania, Delaware and New Jersey. 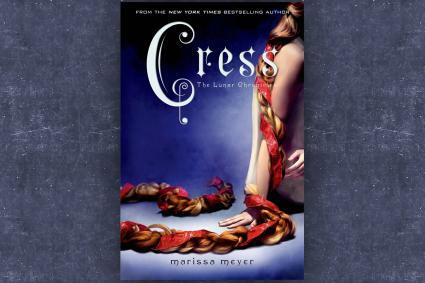 Cress: Cress was the International Literacy Association Young Adult Choices List which is compiled by students with the assistance of team leaders. You can pick up the Lunar Chronicles from Amazon or from most other book retailers. This is a great series for you to read alongside your kids. 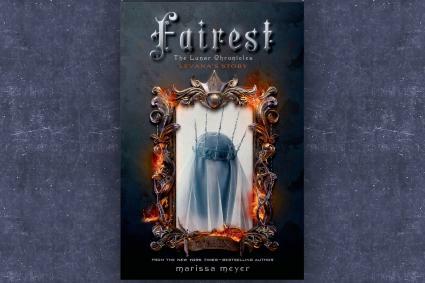 You'll find material for avid discussion stemming from the themes, characters and plot, but it is also interesting to see how Marissa Meyer has remained true to the original fairy tales as she interweaves plots and subplots.